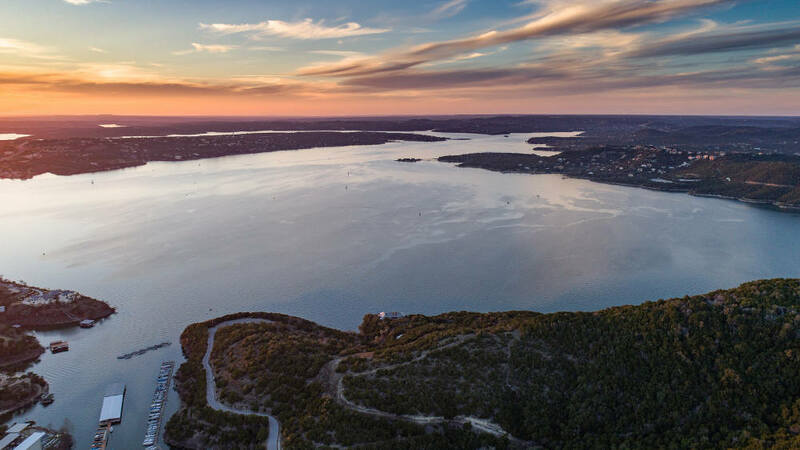 Lake Travis, the “Crown Jewel” of highland lakes, is a reservoir on the Colorado River 20 miles northwest of Austin and a favorite vacation spot in Texas. The limestone bottom makes the water a pure, crystal blue, contributing to a remarkably picturesque area for fishing, boating, swimming, scuba diving and zip lining. For the anglers, the lake is stocked with largemouth bass, guadalupe bass, white bass, striped bass, catfish and sunfish. And whatever your pleasure to skim along the lake, it’s available for rent: houseboats, party barges, pontoons, jet skis, sailboats, kayaks and stand-up paddle boards. If you’re so inclined, you can find Hippie Hollow Park on the eastern end of the lake, the only “clothing optional” beach in Texas.